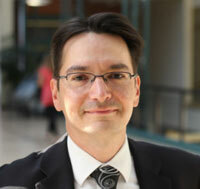 Kevin Lamoureux is the Associate Vice President – Indigenous Affairs at the University of Winnipeg. He has served as the Education Lead for the National Centre for Truth and Reconciliation, as Faculty at both the University of Winnipeg and the University of Manitoba, and as a consultant across Manitoba and Canada. Lamoureux is a well known public speaker and has delivered keynote presentations across the globe, while also being feature on TV, in newspapers, magazines and several high profile documentaries. He is an award winning scholar with an impressive publication and research grant record, and has authored and co-authored several books including the most recent Ensouling our Schools with Jennifer Katz. Lamoureux has served on several Boards and has contributed to policy development in many sectors and in many regions. At the root of Kevin’s work is a commitment to reconciliation, to Indigenous education and to the well-being of students and young people.